Sometimes Korea surprises me. I find all sorts of cool things that I never would have dreamed on finding the the US. Tuesday was no acceptation. First I must mention that I’m a little bit of a kid at heart. I love popsicles, ice skating, and playing on exercise equipment. Well, I was given one of these the other day and I’d have to say it’s one of the coolest things I’ve come across! Yes my friends. 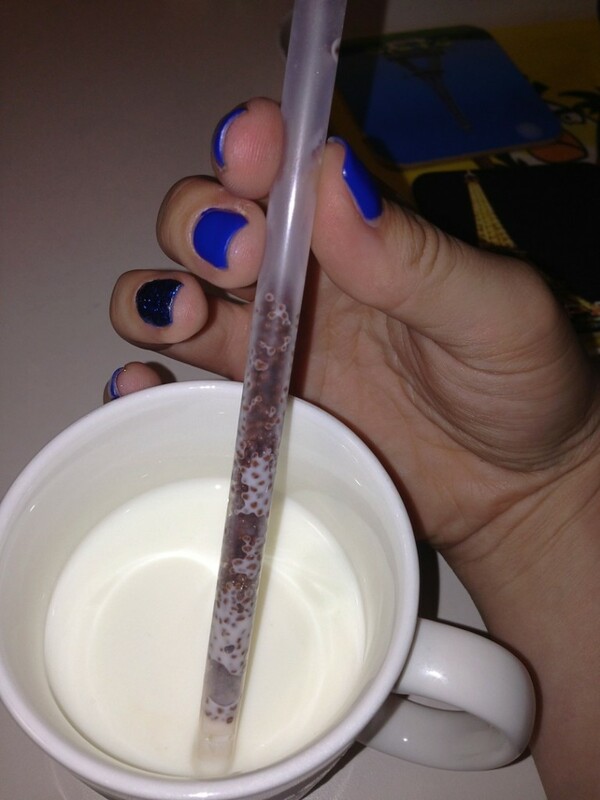 That IS a chocolate milk straw. 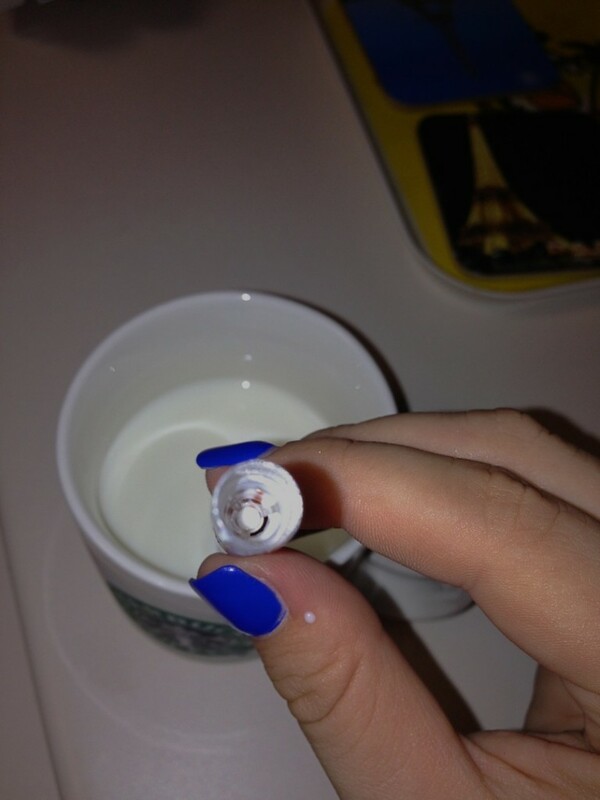 It changes regular milk into delicious chocolate milk as you sip! No stirring needed. 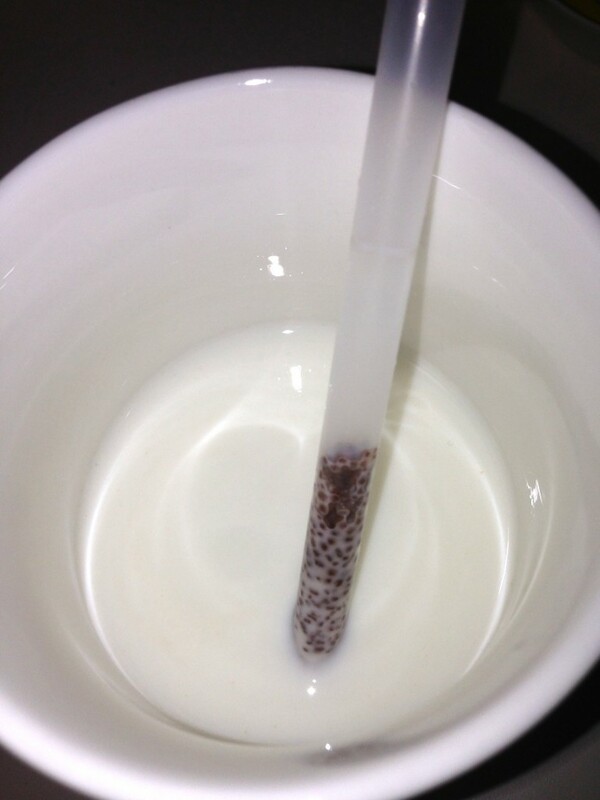 The little chocolate balls are small and light, reminding me a little of cereal. They devolve as you drink, and are gone just as you finish the glass! How nifty. I wish I knew what company makes these and where to buy them. Could you imagine sipping on some coffee with one of these? YUM!!! Happy ‘Weird Wednesday’ everyone! And you only have 24 more hours to enter for the Ultimate Wino Giveaway! What are you waiting for?